Land Park is located in the Southwestern portion of Sacramento. It is specifically a neighborhood in the city of Sacramento and is made up of primarily single family homes located near Interstate 5. This community is named after William Land Park, a pioneer that built the Western Hotel on 2nd and K streets. Located within the region is an elementary school and major city park that bear his name. Today, Land Park is a destination for many families as it is home to the Sacramento Zoo, Fairytale Town and other children’s attractions. 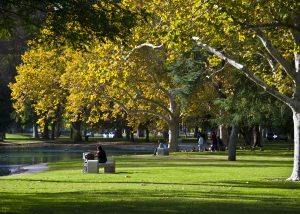 Portions of Land Park can be compared to the infamous “Fabulous 40s” of East Sacramento, with posh homes on tree lined streets making Land Park a picturesque portion of the capitol that is visited by many due to its close proximity to many attractions. In addition, Land Park is the home to the popular Vic’s Ice Cream, Tower Cafe, and Espresso Metropolitan. 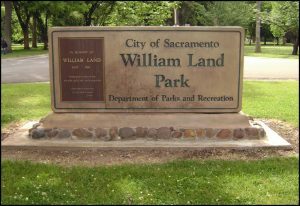 William Land Park is a great place to have a picnic, feed the ducks, go to the zoo or Fairytale Town, go for a walk or run, play 9 holes of golf, take a nap, play baseball on one of several diamonds, or just relax in the shade of hundreds of mature trees. Land Park is one of the oldest neighborhoods in Sacramento, and prides itself in its vintage architecture and local businesses. Have More Questions About Land Park, Sacramento, CA?